Этот нпс куда то пропал. я нашел НИПа там где он и указан. Все купил не проблема. The recipe for this stone is unlimited at Alchemist Pestlezugg. He is found on the South west side of town in a hut. Does anyone else find it odd that the inside of his building is decorated in...pineapples? You *CANNOT* obtain the recipe for the alchemical stone if you are a Bloodsail Admiral. You will need to go to Stranglethorn, and kill Venture Co NPCs until you are at least friendly with Gadgetzan. Found this out the hard way. Another thing of note: His house has different music than the rest of Gadgetzan. i dont see him in the house.....any ideas ? same problem. 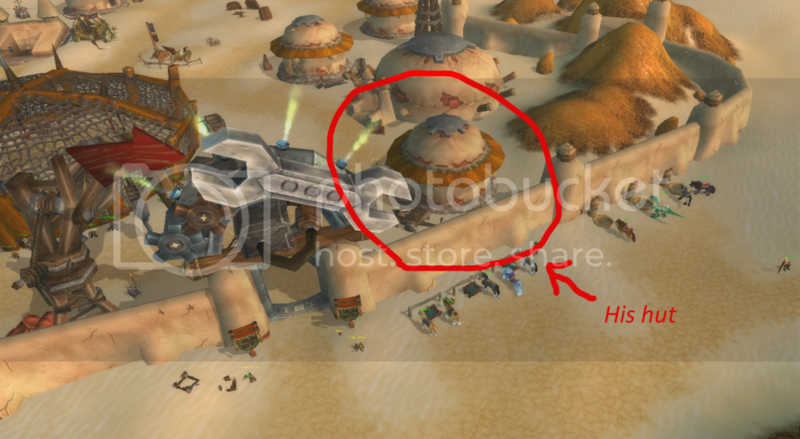 More Blizz screw ups i presume. power lvling cooking had problems with missing npc's since cata. Now alchemy too. GJ blizz. "same problem. More Blizz screw ups i presume. power lvling cooking had problems with missing npc's since cata. Now alchemy too. GJ blizz." I had trouble finding him, due to following the outdated pre-cataclysm comments. I went to an empty building. I did find him in a hut behind the entrance to Gadgetzan sign (the one with the swinging red arrow-hammer-thing). He's just to the right of the entrance. There's a broken down cart to the right of his building, hope these directions help a little for those that don't have coordinates. If you kill him, he respawns 5 mins later with Рецепт: трансмутация мифрила в истинное серебро. So if you're looking for the other limited supply recipe (Рецепт: зелье защиты от сил природы), you'll have to wait a while, or check the other two vendors in Feralas or Booty Bay. I found him at 50,27. His building is decorated with pineaplles. I have never understood this NPC, as no one mentions...do you have to do his quests in order to purchase from him? Every expansion I've tried to buy from him and it just gives me his quest. Found him finally thanks to Shadowhelp's overhead shot. Copy and paste this simple macro that will target him and place a marker over his head. It took me 10 seconds to locate him using this macro... Peace! Entering from the northern entrance and moving south, he is the first hut on your right. There is a kart next to his house. Also sells the Philosophers Stone recipie, needed for transmutes at a lower level.